The countdown is ON! Just 21 weeks until the metal hoardes invade Catton Park’s hallowed ground for BLOODSTOCK and we’re expecting another sold-out event in 2018! As Spring begins, we’ve plenty more bands to announce, so let’s unveil the latest additions! Death metal icons, CANNIBAL CORPSE join us as Saturday’s special guests on the Ronnie James Dio main stage! If you’re missing them on their current UK tour, don’t despair, BLOODSTOCK is here to rectify that situation! Check out the Tampa, FL-based band’s horror flick video for ‘Code of the Slashers’ taken from the current album, ‘Red Before Black’ and warm up those necks for August! – https://youtu.be/afrGiaxOorc. If you’re a fan of bands like Lamb of God and Machine Head, don’t miss Friday’s Sophie Lancaster stage special guests, BLEED FROM WITHIN. The hotly tipped Scottish metal crew will no doubt be sharing a few choice cuts from their upcoming fourth studio album ‘Era’, set for release this April via Century Media. Wrap your ears around first single ‘Alive’ at https://youtu.be/BCCpdwzCHvk. Epic doom brotherhood, GODTHRYMM also join the Sophie stage bill on Friday. Featuring ex-members of Vallenfyre, My Dying Bride, Anathema, Solstice and Malediction, head over to http://www.transcendingrecords.com/media/godthrymm/ to find out more and download some heavy tunes for free! BLOODSTOCK is always proud to give bands from far-flung places the opportunity to play in front of a big crowd and our media friends, so this year we’re excited to welcome UNDERSIDE all the way from Nepal! The band joins us for a slot on Sunday’s Sophie stage. Get clued up on these torchbearers for the Asian metal scene over at their official website: http://undersidenepal.com. Thinking about your route to BLOODSTOCK yet? Official travel partner BIG GREEN COACH are more than happy to transport you, your mates and all your camping essentials from 21 pick-up points all over the country to right inside the BLOODSTOCK gates. For more details, watch https://youtu.be/wqT7Rt2B60E. 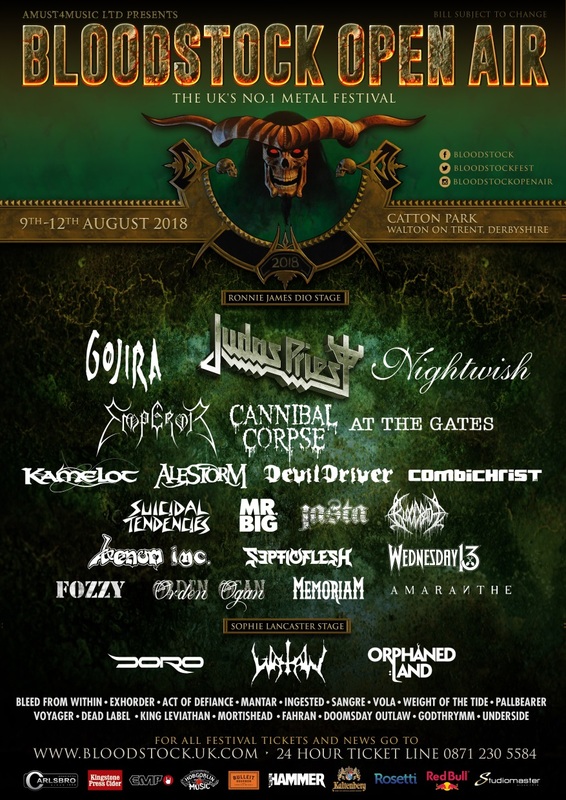 Alternatively, if you’re driving to the festival and have space in your car, or are seeking a ride from your area, post your trip on GOCARSHARE’s website to match up with a friendly metaller and help each other ride to BLOODSTOCK! You’ll even be in with a chance of winning a pair of tickets to next year’s festival just by using the GOCARSHARE scheme! Full details over at http://gocarshare.com/festival/bloodstock.